English Premier League club Arsenal have reached an agreement with Belgian club KAS Eupen for the transfer of Henry Onyekuru. The Gunners have been in talks with the Belgian club since last week, having led a string of Premier League teams interested in signing the winger. The Nigerian’s contract with the Jupiler club includes a £6.8m buyout clause. Sky Sports reports that Arsene Wenger’s side have met the clause as they look to rebuild their squad, though the player has yet to agree personal terms. 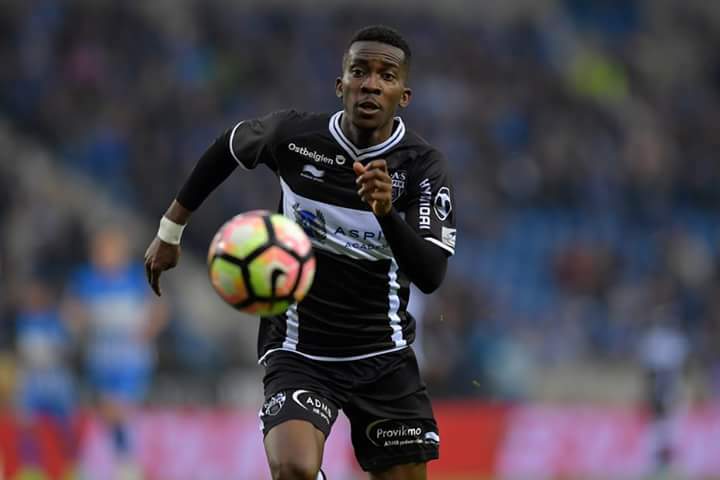 Reports from Belgium claim Belgian giants Brugge and Anderlecht have also met the player’s buyout clause, but Onyekuru is not interested in joining either club. The Aspire Academy product is reportedly keen on a switch to Arsenal. Last year, he spoke of his admiration for Arsenal, saying he would be delighted to join the North London club, who won the English FA Cup on Saturday after beating Chelsea. Onyekuru has impressed this season, scoring 23 league goals and providing 14 assists for Eupen.